Located next to U-Lot, this multi-purpose facility is 360 feet x 285 feet. This venue is used for athletics, wellness, recreation, intramurals, and major campus events. All guests must have an RIT sponsor and purchase a guest pass from the Student Life Center. Proper footwear is required. Shoes with metal cleats, spikes or high heels are prohibited. Molded cleats are permitted. During open recreation, use the far (south) end of the field. Dogs, gum, tobacco, smoking and open flames are prohibited on the field. Food and drink are restricted to the black top and seating areas. Chairs are only allowed on the black top area. Golf and track and field activities are prohibited. Spectators may enter the gated area at their own risk. Do not drive stakes or objects of any kind into the turf. Call the SLC at 585-475-2280 for assistance with injuries, lights, facility damages or locked gate. Keep the field safe and clean by complying with all rules and disposing of trash. These include three varsity practice fields, varsity game and field/track complex, varsity softball field, varsity baseball field, six recreation/club fields, and two lawn activity areas. Located next to U-Lot, there are nine lighted tennis courts with windscreens. Wellness classes and Intercollegiate Athletics have priority. 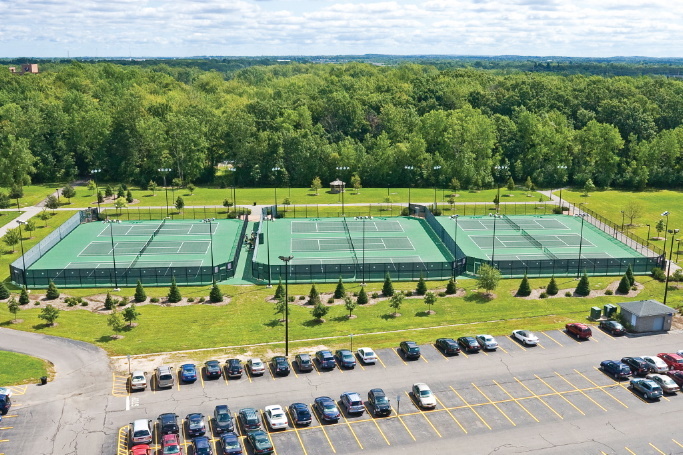 Tennis courts follow the Student Life Center schedule weather permitting. Non-marking tennis footwear is required. Activities other than tennis are prohibited. Rollerblades, skateboards and bikes are prohibited. Tennis classes, intercollegiate contests and practices have priority. Recreational use is first come, first serve. Leaning on and jumping over nets is prohibited. Play is limited to one hour. Spectators are prohibited inside the fence. Food and drink prohibited. Water bottles are permitted. Lights can be turned on by pressing the light button located inside the court. Call the SLC at 475-2280 for assistance with injuries, problems with lights, facility damages, or locked gate. Call Public Safety at 585-475-3333 for emergencies. Close gates when finished with play. Keep courts safe and clean by complying with all rules and disposing of trash. 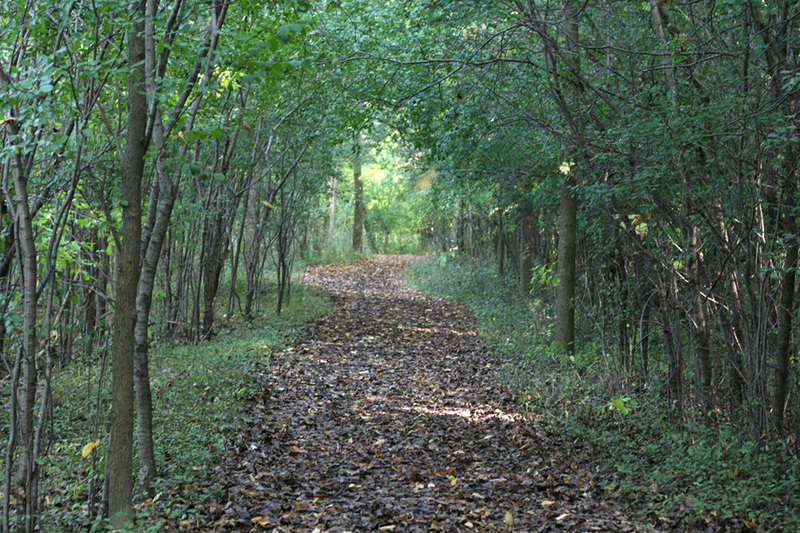 The nature trails are in the wooded area adjacent to the Quarter Mile, south of the Student Life Center. They include a measured .5 mile and 1.2 mile jogging trail. These trails were made possible through the significant contributions of Mrs. Richard Ross, Mrs. Marvin Welcher, Mr. Joseph Harris, and the Wells Fargo Bank. Along the path, you will see "The Bower", which is a memorial to Mrs. Marcia Ellingson and also a place to enjoy the peace and tranquility of nature. Many joggers, hikers, skiers and nature lovers enjoy these trails year round. We hope that you have a pleasant visit to the trails, and enjoy the other jogging routes around campus as well. Click here to download a PDF of the nature trail and campus jogging routes. 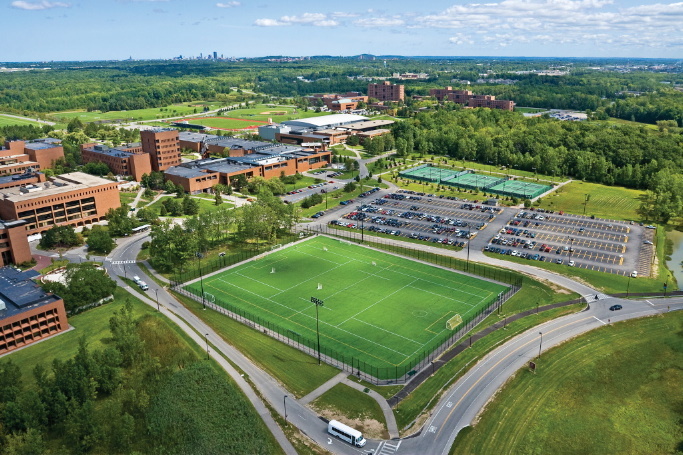 Located next to D-Lot, this facility is used for varsity soccer, lacrosse and track meets. 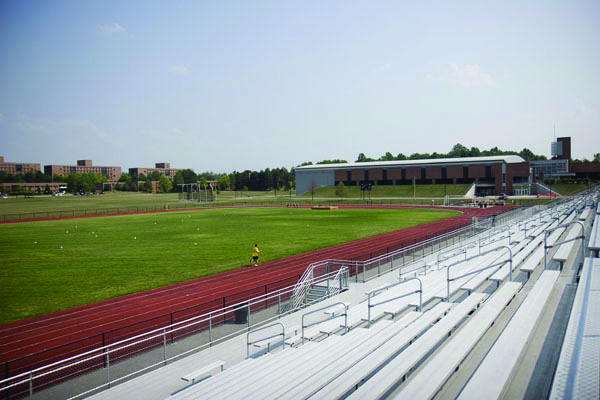 The 400-meter track is open for RIT recreational use daily from dawn until dusk during the fall, spring and summer. Track and field equipment is for varsity athletics only. This facility is for use by the RIT community only. Grass field and all equipment are for Varsity or special event use only. Walkers and joggers must use lanes 6, 7 and 8. Vehicles, bicycles, skateboards and rollerblades are prohibited. Pets, tobacco, smoking and open flames are prohibited. Call the SLC at 585-475-2280 for assistance with injuries. Keep the facility clean and dispose of all trash. This range is located north of the varsity practice fields. It is primarily used for Wellness class instruction and archery club practice. The orange RIT Archery flag must be raised when the range is occupied. RIT ID or guest pass required. No public use. Use by reservation only through the SLC Main Office. Reservations can only be made by an RIT Range Authorized user. The person who makes the reservation is the one who must sign-out the key to the shed and the archery flag from the SLC Equipment Cage with their valid RIT ID. A minimum of two people is required for a reservation. At least one person is required to have RIT Archery Range Authorization (certified person who has their own equipment). An RIT Archery Range Authorized person may supervise up to two other people. An RIT Range Master is required for groups of four or more up to 25. Range Authorization is approved by the RIT Wellness Class Instructor or Range Master. RIT does not loan out archery equipment except during Wellness classes and club practices. Only target or field tips are allowed. The range may be closed for campus events such as Brick City, Imagine RIT and Commencement. In the event of an injury, call 585-475-3333. The orange RIT Archery flag needs to be raised whenever the range is in use. Be alert of bystanders and surroundings at all times. Check behind hill before shooting. All bows, with an arrow knocked or otherwise, must be pointed down range. Clean the range after use, return targets to the shed, remove the flag and dispose of trash.